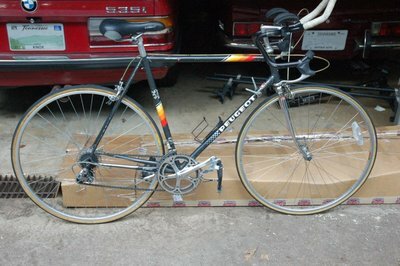 The components and condition if this bike are not remarkable. The frame is remarkable. 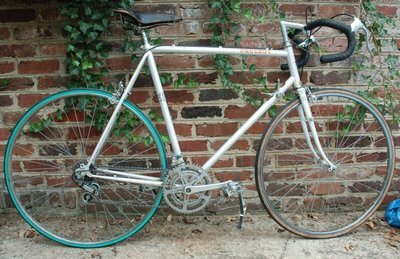 This is the (Super) Vitus 980 Peugeot frame and it is noticeably light - for a steel frame, that is. As best my research shows, this is a 1984 model and most of the equipment is original. The previous owner installed the soft comfort seat, profile bars and a 7 speed rear gear set. I'm still not sure the model and age of this bike. From what I've found, it seems to be a 1982 PBN10...maybe. It's really in great shape, though not particularly remarkable in build, componentry, etc. There is a lug on the right side of the fork that I do not know the purpose of (a generator for a light?). 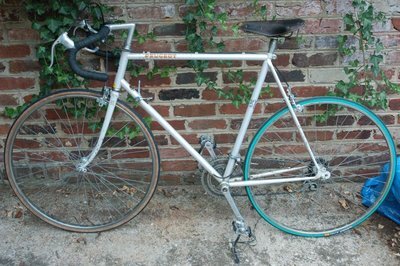 Seems like this could be a great commuter & utility bike and it would not be much trouble to outfit it with some more modern components if one chose to go that route. 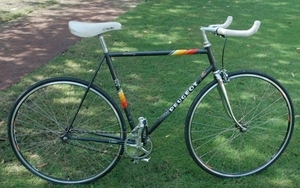 Continue reading Peugeot 103 Carbolite Frame Road Bike.